Here are the final two additions, one touring and one local, to close out this year’s Bro Fest 2012 at Club Dada & La Grange. Self-described “weird, heavy”, PRIMITIVE WEAPONS are a metal quartet from Brooklyn currently on Prosthetic Records. And our favorite local dynamic punk duo: LEG SWEEPER will close out the show. 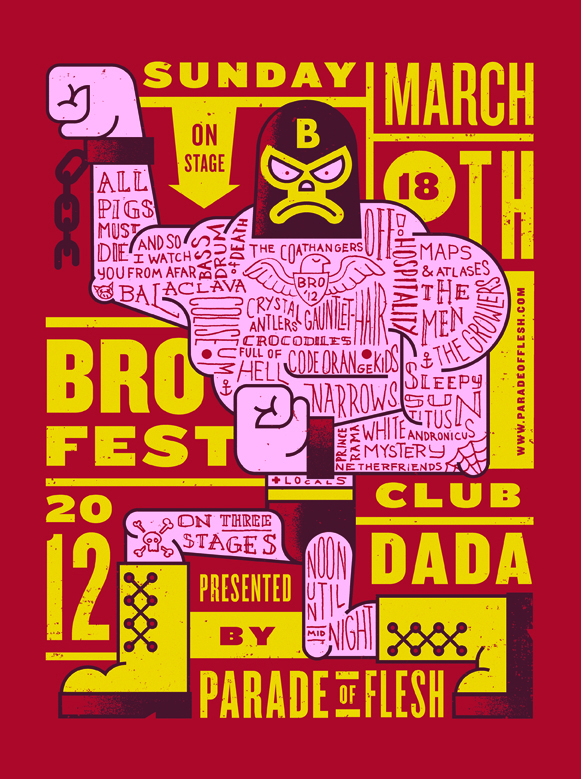 This entry was posted on March 12, 2012 at 10:15 am, filed under News and tagged bro fest 2012, club dada, leg sweeper, primitive weapons.